As many of Brian’s followers know, The Chamber of Mysteries dinner and show is the only ongoing show in Malta where people can go and see some astounding magic and illusion all year round. We have a video from a televised feature further below for you to watch! Despite his several performances in Malta and abroad, all the acts (apart from just a few signature acts) showing at the Chamber of Mysteries are exclusive to the show there. This is set in a small theatre, designed specifically for the show and runs on a weekly basis all year round. During the show, guests experience magic, illusions and mind reading in an intimate close up environment. There’s really no other experience like it. Brian and Lola have created a way in order to present famous stage illusion in a close up manner, with people helping them at various stages throughout the show. Tables fly over people’s heads, borrowed items vanish and end up in unexpecting places, people’s minds are read and predictions are produced and everything is achieved at very close quarters with people surrounding Brian and Lola. Since the opening of the show way back in 2011, thousands of guests from all over the world have visited to witness this amazing experience, many of them booking months in advance due to the limited availability. 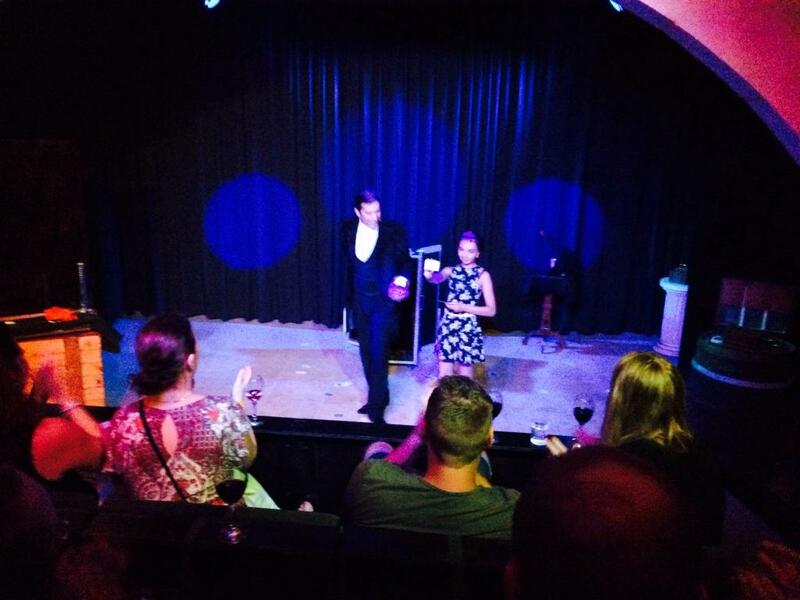 Then in June 2016, Brian and Lola were awarded the IMS Merlin Award, the most prestigious award in magic, for their show at the Chamber of Mysteries. Holders of this award include the likes of the world’s most acclaimed magicians including David Copperfield, Criss Angel and Siegfried and Roy amongst many other famous magicians. Throughout the years, the show gained recognition the world over, with interviews on satellite television and camera crews coming to talk to Brian and Lola and capture exclusive moments from the show . Here’s one of those interviews that was broadcast in Russia.